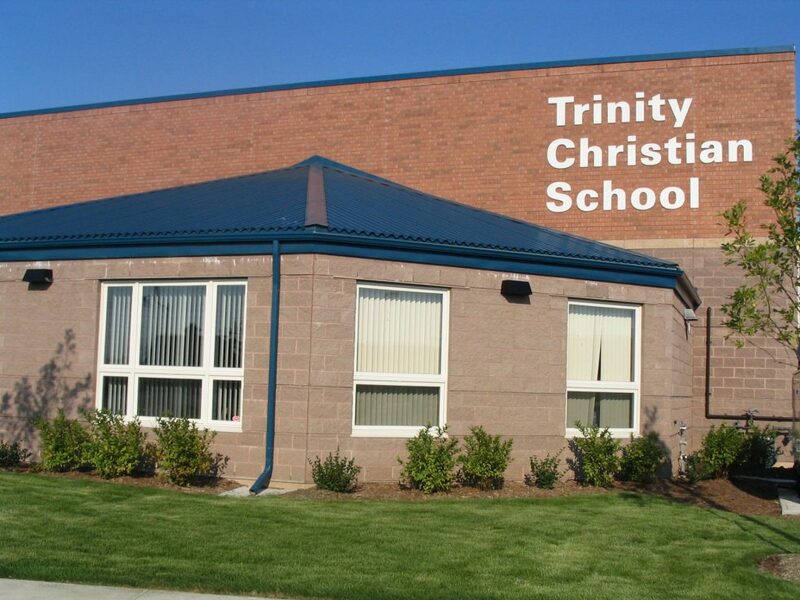 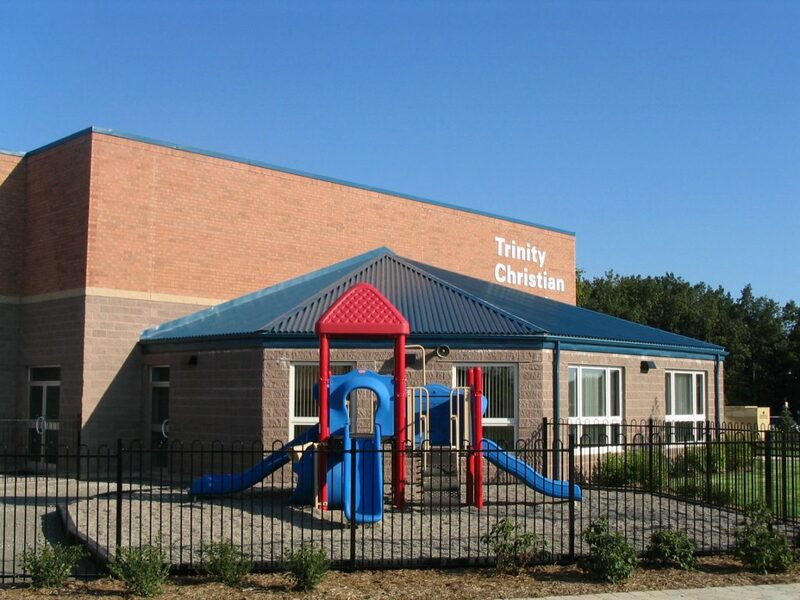 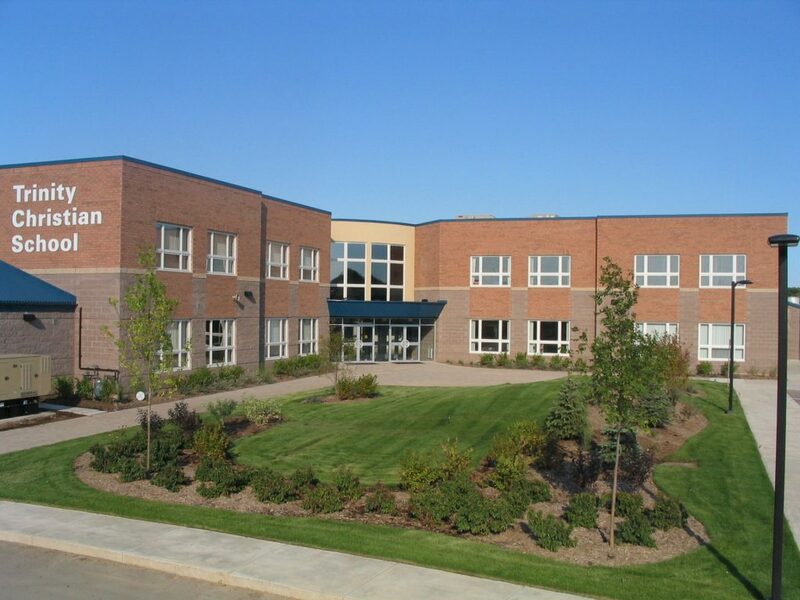 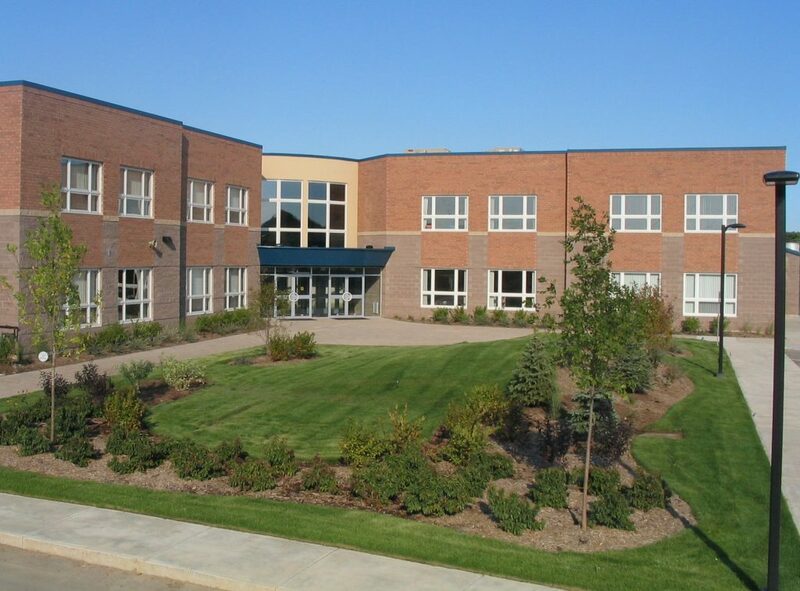 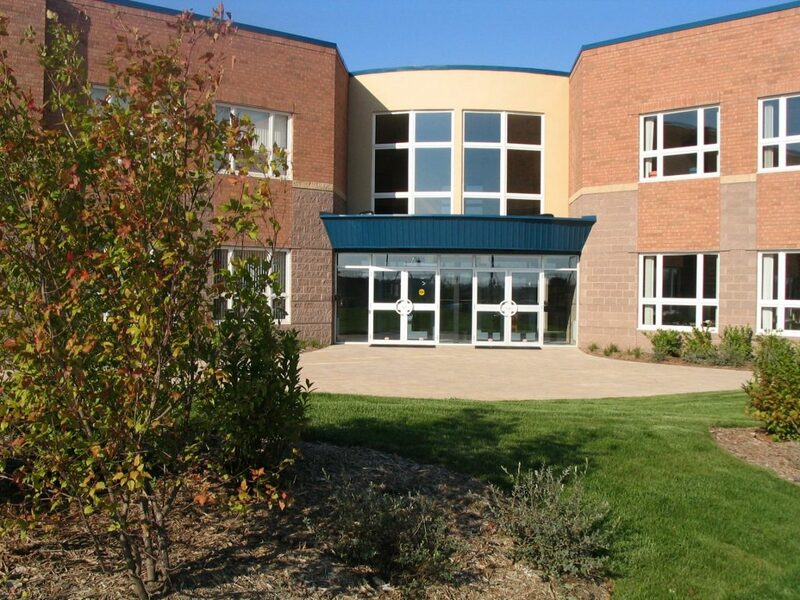 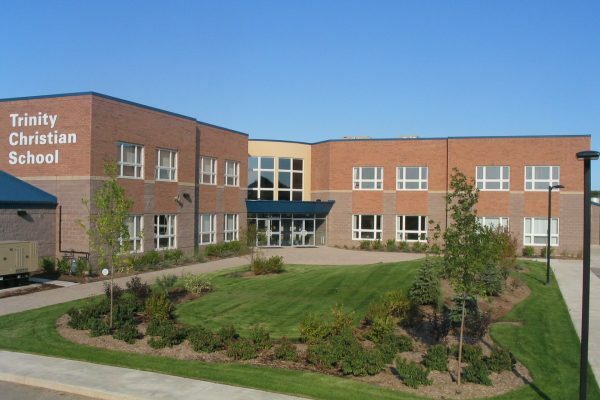 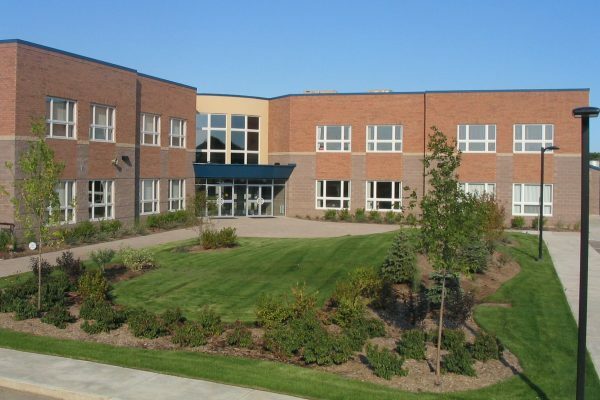 Trinity Christian School | Learn Project | Reinders + Rieder Ltd.
Trinity Christian School retained Reinders + Rieder Ltd. to design and construct a new 40,000 square foot Christian school facility with attached community centre. 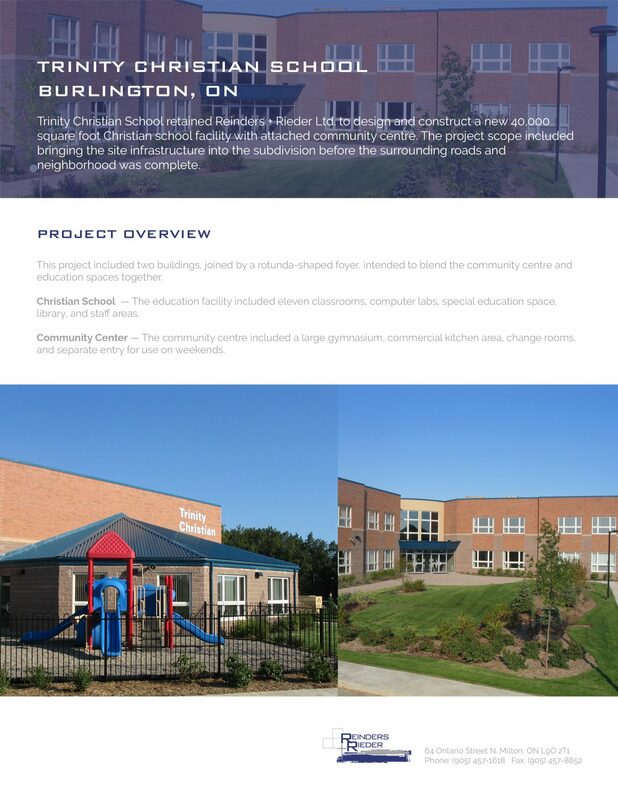 The project scope included bringing the site infrastructure into the subdivision before the surrounding roads and neighborhood was complete. 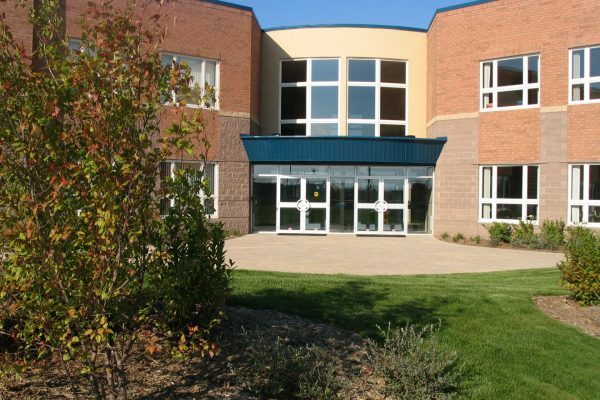 This project included two buildings, joined by a rotunda-shaped foyer, intended to blend the community centre and education spaces together. 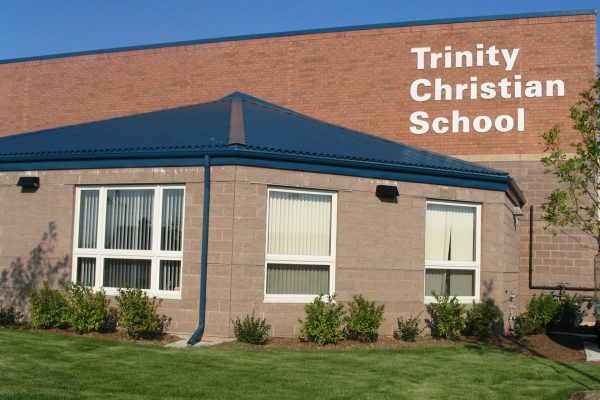 Christian School — The education facility included eleven classrooms, computer labs, special education space, library, and staff areas. 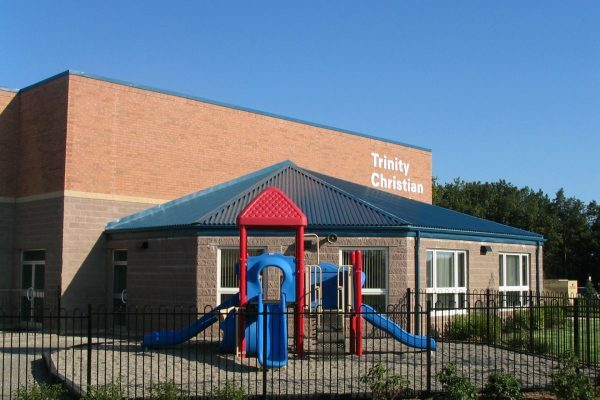 Community Center — The community centre included a large gymnasium, commercial kitchen area, change rooms, and separate entry for use on weekends.